This demonstration, which accesses our student program data stored in a MySQL database, is derived from code in a stackoverflow page. 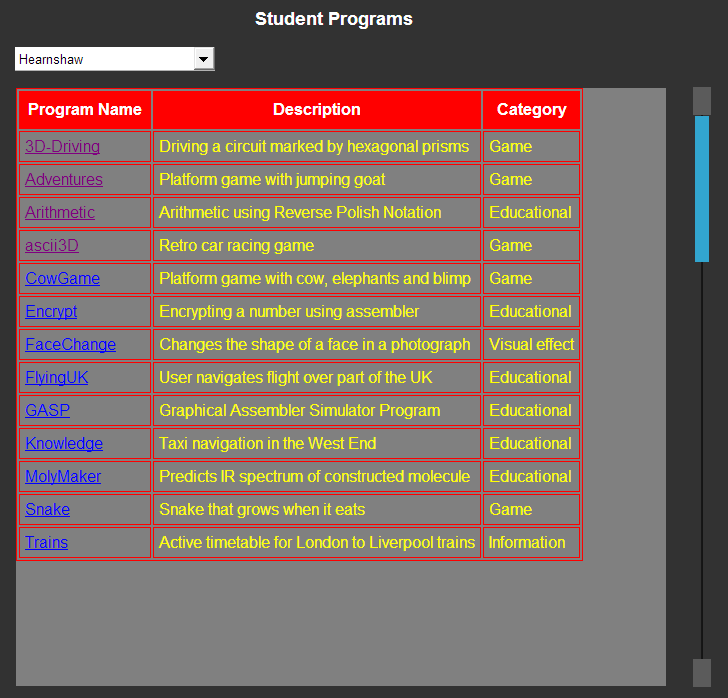 The screenshot below shows hyperlinked names of programs by the selected programmer together with further information obtained from the database. Some SQL code from our Pascal database tutorial was useful. See on the next pages the code of the Smart Mobile Studio and PHP files.